True Lavender – Essex County Naturals. 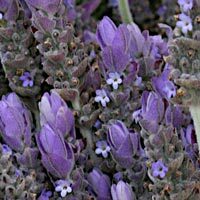 Classic Bulgarian Lavender essential oil aroma to soothe and relax the soul. Highly nourishing and vitamin rich Sweet Almond, Green Tea Seed and extra virgin Olive oils unite in harmony to transform and beautify your skin for a sinfully smooth more youthful appearance while aromatherapeutic essential oils feed both senses and spirit. Regular use will result in noticeably softer, smoother, healthier skin while minimizing the effects of aging. Ideal for very dry and irritated skin conditions such as eczema, urticaria and psoriasis. TIP: Combine a matching soap, bubbling bath melt, skin butter, mineral body salt, body scrub and room fragrance in the same aroma to create your own Lavender scent line. Add a capful to running bath, massage into damp body right after showering or use as an aromatherapeutic massage oil.